In the context of transmission spectroscopy, the planetary parameters that one would hope to deduce are the gas abundances (in this case: atmospheric volume mixing ratios of H2O, CO2, CO, CH4, H2/He) and a temperature-pressure (T-P) profile. Gas abundances tell us what kind of atmosphere the planet has. Is it like Mars with loads of CO2, or like Earth with oxygen? T-P profiles tell us what is going with the climate. Is it like Earth where I can go outside and tan, or like Venus where I can go outside and cook a pizza on the floor in 9 seconds. But before we discuss reverse modeling, it’s important to understand our sources of noise: sun spots, systematics and stitching. Let’s say I am observing planet X around star YZ. I want to observe planet X for 30 minutes before it transits, an hour in transit and 30 minutes post transit. This is equivalent to saying I want to observe star YZ for a total of 2 hours. Because my star is bright, I take a series of short exposures throughout the 2-hour transit and end up with several out of transit spectra (star only) and several in transit spectra (star plus planet). If I subtract all the out of transit data from the in transit data I can get out the planet spectrum: (Star + Planet) – Star = Planet. But, nearly all stars vary in brightness due to star spots (small regions of cooler temperatures which create brightness fluctuations). Meaning, we might end up with something like: (Star + Planet) – (Star + Star Spots) = Planet – Star spots. So how accurately can JWST observe exoplanets if our star is rapidly varying? Will this effect dominate our observations? JWST is the first space explorer with instruments optimized for exoplanet characterization (not detection). Although, Hubble and Spitzer were tremendously successful for exoplanets, it’s not what they were designed to do. 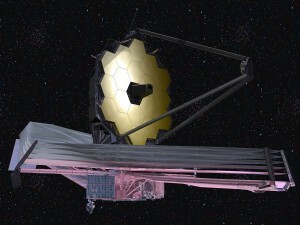 JWST has four instruments: NIRSpec, NIRISS, MIRI and NIRCam. All four will provide groundbreaking science for exoplanets but for the sake of a simple discussion let’s focus on NIRSpec and MIRI. NIRSpec, the Near Infrared Spectrometer, is the only spectrometer onboard that covers the 0.6- 5-micron region in a single shot. So imagine you are taking a panorama. NIRSpec would allow you to point and take the entire image in one click. NIRCam and NIRISS would require you to take about 3 images and then later stitch them together to create your image. Each time you introduce stitching, you introduce a certain degree of uncertainty into final spectra. Using NIRSpec will decrease this uncertainty. MIRI covers the region from 5-12 microns in two observations. Using a combination of NIRSpec and MIRI would allow us to cover an unheard of wavelength space by stitching together 3 images. Our task is becoming increasingly complicated because the object we are observing (the star) could be constantly changing due to star spots. Going back to the panorama example, this would be as if you were trying to stitch together an image of a large football game. The players are constantly moving, so how will you know how to line up the image correctly? With these sources of error in mind, Barstow et al. discuss what exoplanet science we can expect from JWST. Barstow et al. looked at four case planets but here, let’s just look at the two extreme case studies: 1) something we know we can characterize: a hot Neptune orbiting a cool star (M dwarf), and 2) something that will be very challenging: an Earth-like planet in the habitable zone of a cool star (M dwarf). First, let’s compare the secondary transit spectra (i.e. when the planet is about to pass behind the star). The spectra are plotted showing the ratio of the planet radius to stellar radius. When photons from a particular gas are emitting from the planet, the planet appears bigger, and we get a spike in the ratio (y-axis). This indicates the presence of a particular gas. Left: secondary spectra of a Hot Neptune around an M dwarf, showing detectable features. Right: secondary spectra of an Earth-like planet around an M dwarf, also showing detectable features. Main point: hot Neptunes can be easily observed, Earth like planets are much harder. Notice that in the case of the hot Neptune, there is very little noise. This is because the planetary atmospheres of hot Neptunes are puffier, hotter and therefore, easier to see. You can easily spot features from several atmospheric gases: CH4, CO2, CO, and H2O. The Earth-like spectra is much noisier but we can still make out a CO2 and a O3 feature. Now compare the temperature-pressure profiles retrieved from both these cases. Or wait! It is not possible to retrieve a T-P profile for an Earth around M dwarf. There are just not enough photons to constrain anything. That being said, the T-P profile retrieved from the hot Neptune is beautiful! The black line is the profile that went into Step #1 and the colors are all the profiles that were backed out of their reverse modeling. In the end, Barstow et al. demonstrate that despite star spots, systematics and stitching we will be able to completely constrain the atmospheres of hot Neptunes, hot Jupiters and even warm Neptunes. Before the Kepler Mission discovered 4,000+ planets, all we knew of exoplanets was that they existed. Post JWST we will have unveiled a whole slew of planets characteristics. Planets which don’t resemble anything in our Solar System. Furthermore, if we find a nearby planet around a cool star, Barstow et al. prove that it will challenging but not be impossible to deduce what may be contained within Earth-like planetary atmosphere. Dip-Detection in the Kepler Data A planet diminished How to Confirm a (Tiny) Exoplanet Candidate What’s Next For Kepler? Very cool post! One question that I had is about the planet’s spectrum. Why is it so hard to differentiate between the transit effect and the spots effect but not so hard to see the planet’s spectrum (and then identify the molecules)? Hi Tabata, Thanks for the question. It is in fact vErY hard to see the planet’s spectrum and identify the molecules. What is hard is to differentiate between the spots effect and the planet’s spectrum. When we do a simple subtraction of the out of transit image and the in transit image we get one spectrum. When we are doing our data reduction, it is so important that we make sure all that is left is the planet spectrum. This won’t always be the case though, and that is why it’s hard to disentangle the planet’s spectrum from everything else (i.e. stellar effects). How big a problem are star spots for the instruments we currently use to detect exoplanets? I’d always assumed they were a small enough issue to just be ignored (well, actually I’d really just never thought of them at all…). Hey Sam. Stellar effects have caused many exoplanet scientists several headaches. The Kepler Mission was supposed to be able to find Earth 2.0. After the mission launched we realized that typical G stars (like the Sun) are way more variable than our Sun. Because of this unforeseen stellar variability, Kepler was unable to see any Earth-sized planets in the Habitable Zone around G stars. So we definitely cannot make this mistake again! Hi! You discussed in this write up the question of how accurately JWST will be able to observe planets if stars are rapidly varying. This made me curious about what kind of stars JWST is planning to target. Hubble focused on M dwarfs (by convenience as much as anything else) which do have spots and variations, but I was wondering if astronomers intend to search for planets around actual variable stars. Is this feasible with current technology? 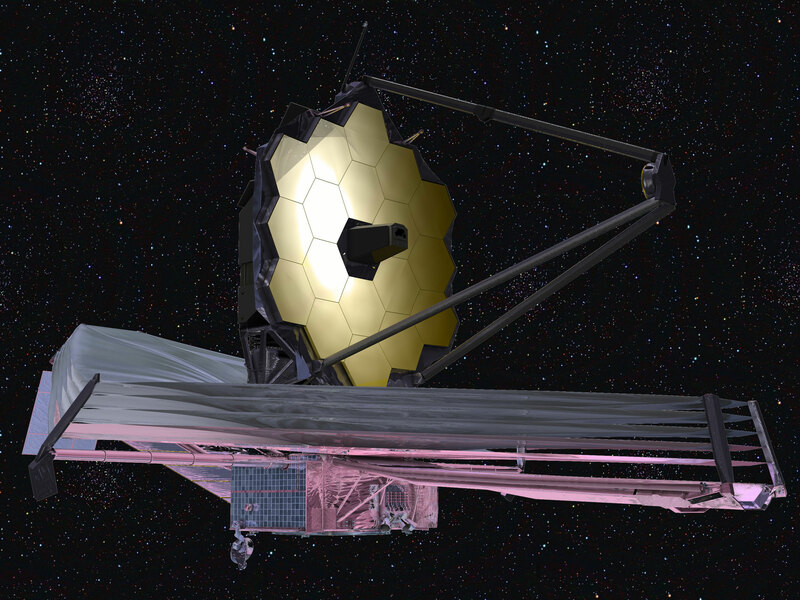 JWST provides a lot of very exciting prospects for the future of astronomy. Something that I’m particularly interested in is the ability to understand atmosphere profiles of exoplanets. How nearby/cool would a nearby earth-like planet need to be for JWST to detect an atmosphere? If we want to observe an Earth-like planet with JWST it will need to be around 15 light years away around an M dwarf star which are usually around ~3200 K. Very exciting things for astronomy lie ahead!! There have seemed to have been many delays with getting JWST operational due to budgets and such, do you think the 3 year timeline is going to remain unaffected, or might it continue to get pushed back? Hi Chris. You are more than right. We did have some trouble getting JW off the ground. Currently though, we are right on track for the 3 year deadline. JW got lots of heat for the delays and budgets so it really cannot afford to slip again. I think the 3 year timeline will absolutely remain unaffected. This is great news! We showed previously that JWST should also be able to detect biomarkers if planets exist close-in to white dwarfs (http://arxiv.org/abs/1406.3025, http://astrobites.org/2014/06/18/searching-for-life-via-exoplanet-smog/), so it should be an exciting next few years for JWST. I’d be interested to know how Barstow et al. deduced what the spectra of these simulated planets will look like “through the eyes of the JWST.” Although I am sure that the resolution of the telescope is well known, I’d imagine there are many other significant influences on the noise of an observation that they considered aside from just sun spots and stitching. Were these other potential influences accounted for through some random variation? The JWST is clearly a revolutionary tool for the discovery and analysis of exoplanets. Love this question, since I am in the process of building a JWST instrument simulator. Barstow et al. used a lot of publicly available information about the efficiency of the instruments but you are absolutely right that there are many other influences on the noise of an observation (i.e. space craft jitter, cosmic rays, detector variations). We are in the process of creating a simulator that reads in actual pixel by pixel measurements of the detectors and other sources of noise to create the “through the eyes of the JWST” simulations that way. Barstow et al. were mostly concerned about the stellar variations though and less about inherent detector effects. Great question! It seems the JWST looks to use the RV analysis as on of its methods of detecting exoplanets. One thing I wonder is with such high resolution will it also be looking to directly image an exoplanet? Or are we still years behind that becoming mainstream. JW will not be “detecting exoplanets”! That is an important subtlety. NASA has another mission TESS which will be detecting hundreds of exoplanets so that JWST can characterize them. JWST will be primarily be doing transit spectroscopy of exoplanets but it will be able to directly image planets as well. That being said, it will not be able to directly image Earth 2.0. The planets will have to be much larger and further away from their parent star. NASA is currently in the process of figuring out what kind of telescope would be needed to directly image Earth-like exoplanets. Really cool stuff!